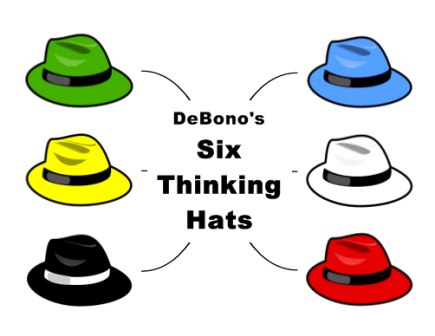 Dr Edward De Bono came up with a famous theory of the six thinking hats, as a tool for group discussion and also individual thinking – as a means to think from all angles, more effectively, and to come up with successful decisions. The contention of the six thinking hats is that the human brain is capable of thinking in multiple ways, and hence, if – for critical decisions – an attempt is made to deliberately think in each of the six different ways, a new and better decision may be possible. For an individual investor, I think something similar to make successful investing decisions over time may be required. Here is an attempt to articulate the six hats that may be required for effective investment. Analytical Hat: While the ability to gather facts and analyze information is quite important, in my view, it may be a bit over-rated. It is certainly not the most important ability required in an investor. Though it is necessary, by no means is it sufficient. The analytical hat is perhaps the starting point, but just about it. Optimistic Hat: An investor needs to be an optimist at heart. Investing is about putting money in the belief of better returns of the future. Hence, unless an investor has a positive view of the future, it is unlikely that he will hold his investments, specially during downturns. Skeptical Hat: A skeptical outlook which looks at all businesses, advice, opinions and information with a pinch of salt – like ‘guilty till proven innocent’ is extremely important. It may seem contrary to the optimistic hat – but it is not. The most important advantage of a dominant skeptical hat is to avoid big blunders – which is as important as making the right decisions. Patient Hat: The capacity and willingness to endure waiting, delays or provocation without getting upset or losing track – is perhaps the most important hat that an individual investor will need. It is also the one required the most often. At so many points in an investor’s life, the other hats will have nothing to work on, and the only hat in operation is the patient hat – and the ability to endure that is invaluable. Wisdom Hat: There is a lot of knowledge but no wisdom. That is an apt characterization of the state of capital markets in today’s connected world. An innate wisdom hat allows the investor to discern and make a judgement on what is the right thing to do, or whether to do anything at all is extremely valuable. Perhaps one of the most critical hats for an individual investor. Rebel Hat: The ability to refuse to obey, or go against what may seem like popular is the Rebel hat, that will need to come into play in times of high swings in the market. And the rebel hat will ensure that the investor buys when everyone is telling him to sell, or sells when everyone thinks he is a fool in doing so. Importantly, a rebel hat combined with the others is necessary for the big returns. So here are the six hats required for an individual investor. At various times, one hat may seem to be more prevalent than the other. But like Dr De Bono’s contention – a deliberate attempt by an investor to wear all hats before making investing decisions, will perhaps ensure that the right decisions are made most of the time.